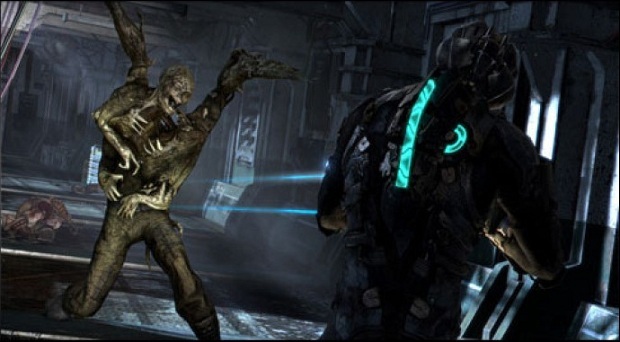 Must be a week of leaks, first the Halo 4 Multiplayer images, now Dead Space 3 images that feature the hero of Dead Space and it's sequel Issac and a new fellow, John Carver have been let loose to the internets. 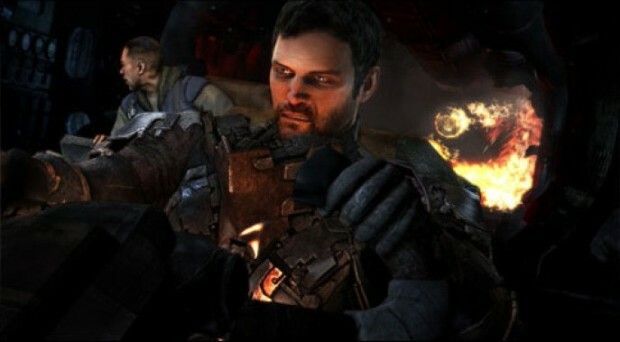 Guess, everything will be revealed at E3. I must squeal like a little girl. And diggin' that 'soft' armour and winter coat. 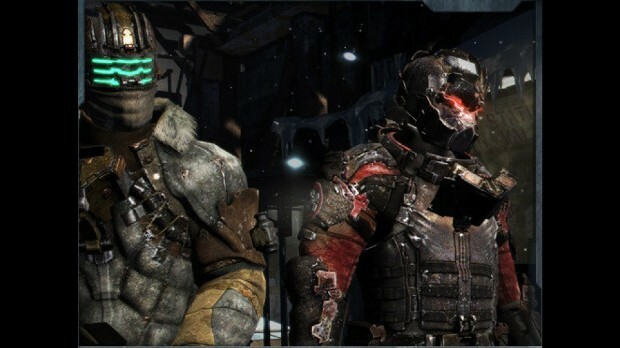 Definitely hoping for some walks frozen halls a la MacReady and his shotgun.